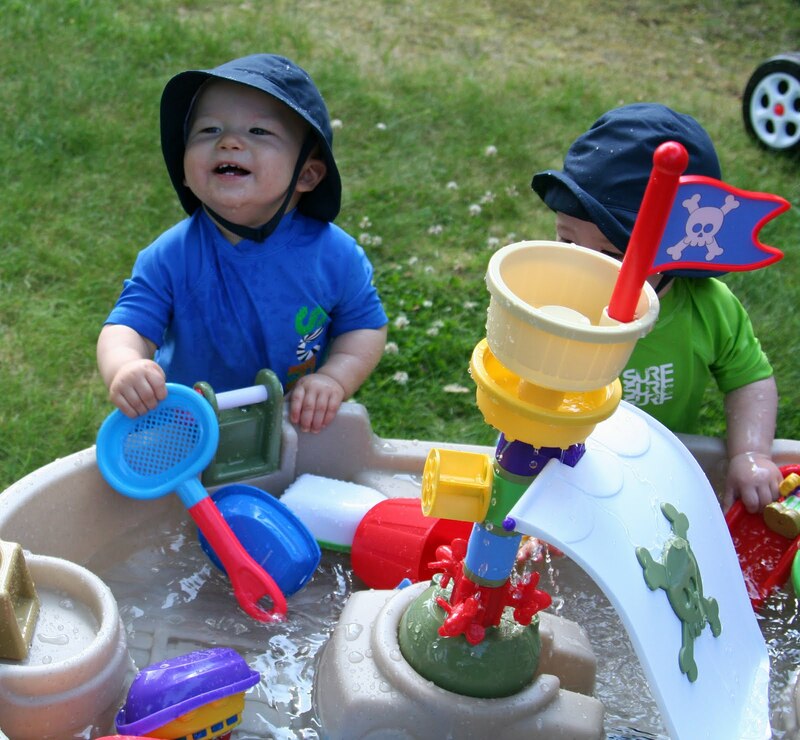 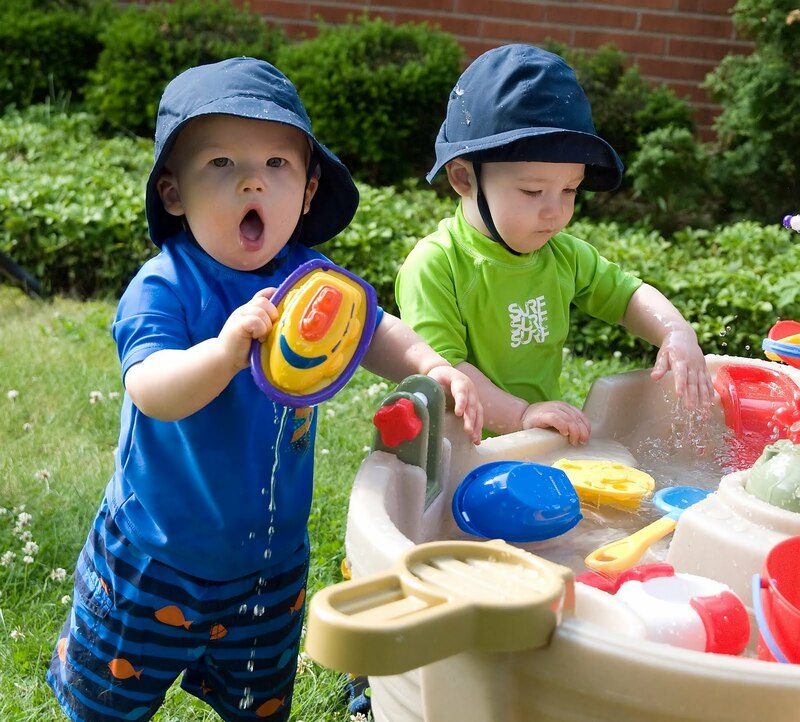 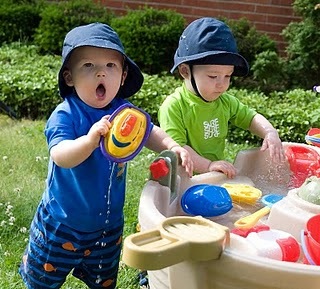 Wyatt immediately started spashing in the water while Ruslan focused on all of the new toys. Wyatt would occasionally get bored and crawl away to find Juliana and then come back and splash some more. 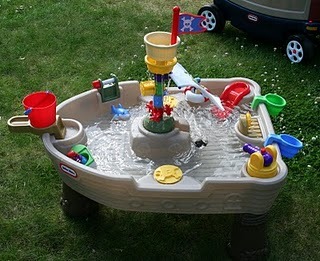 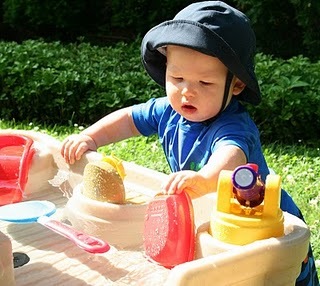 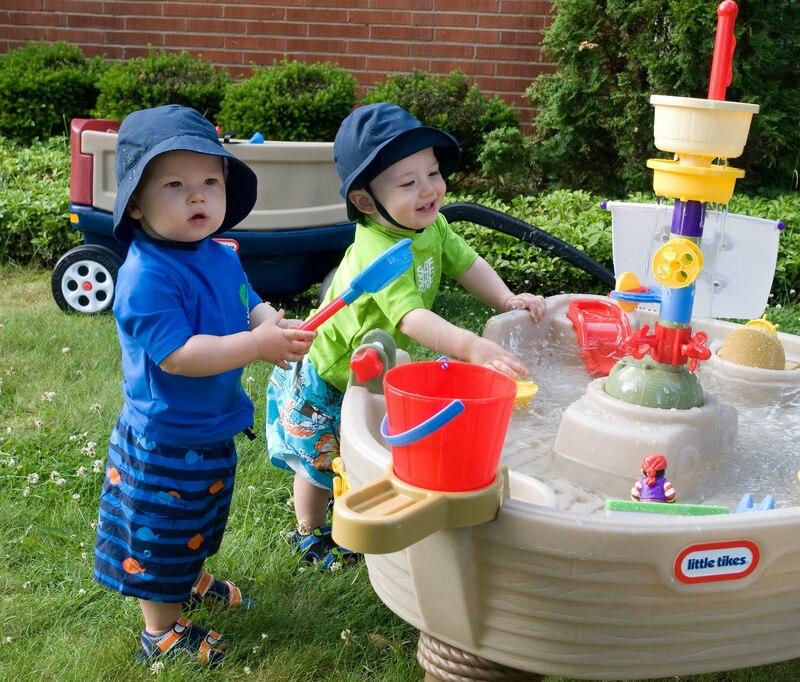 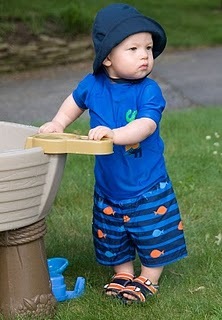 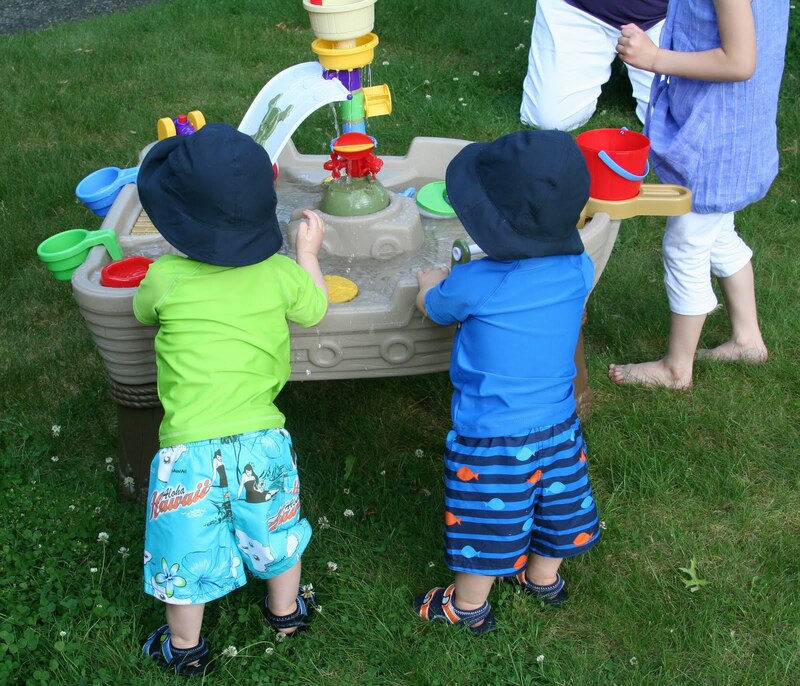 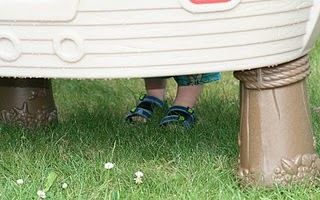 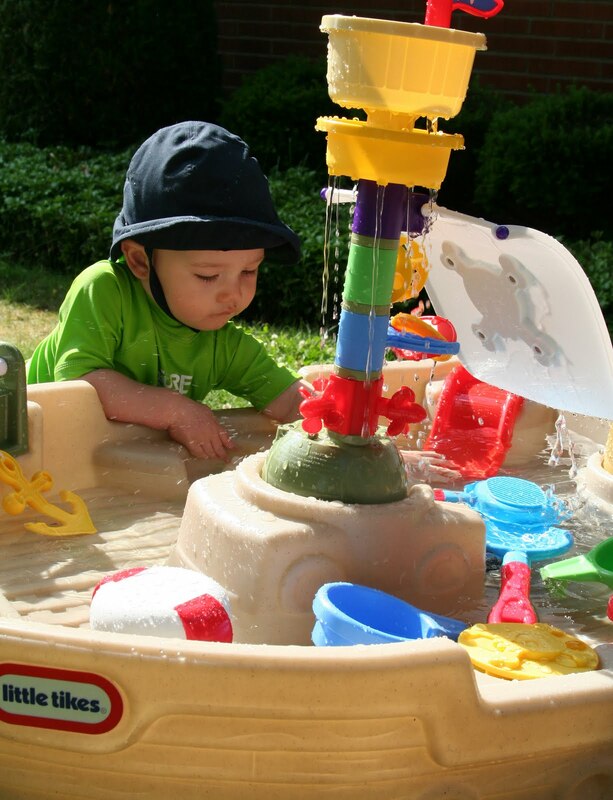 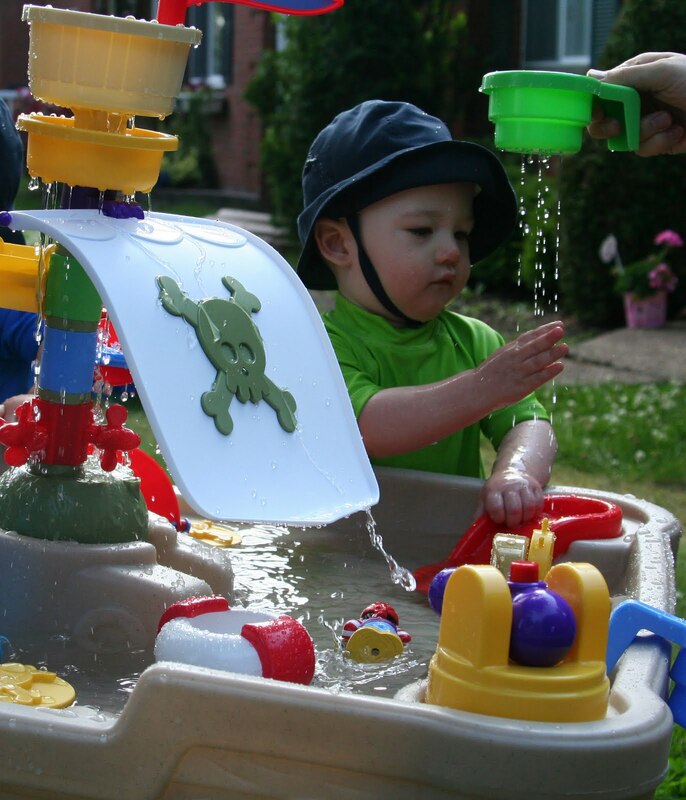 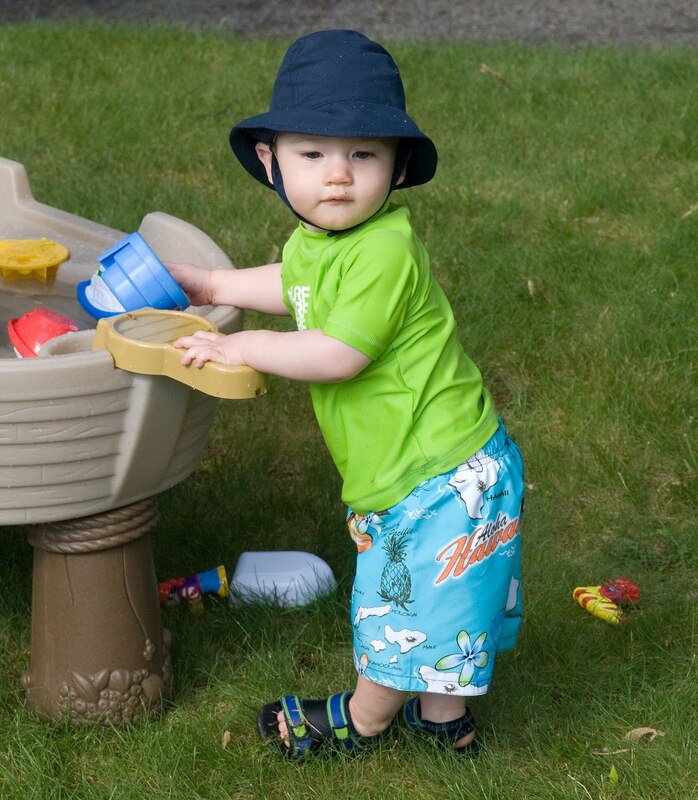 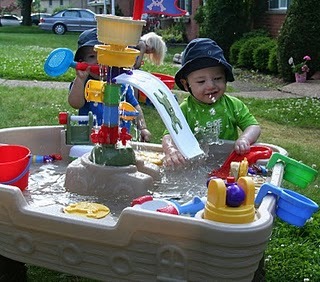 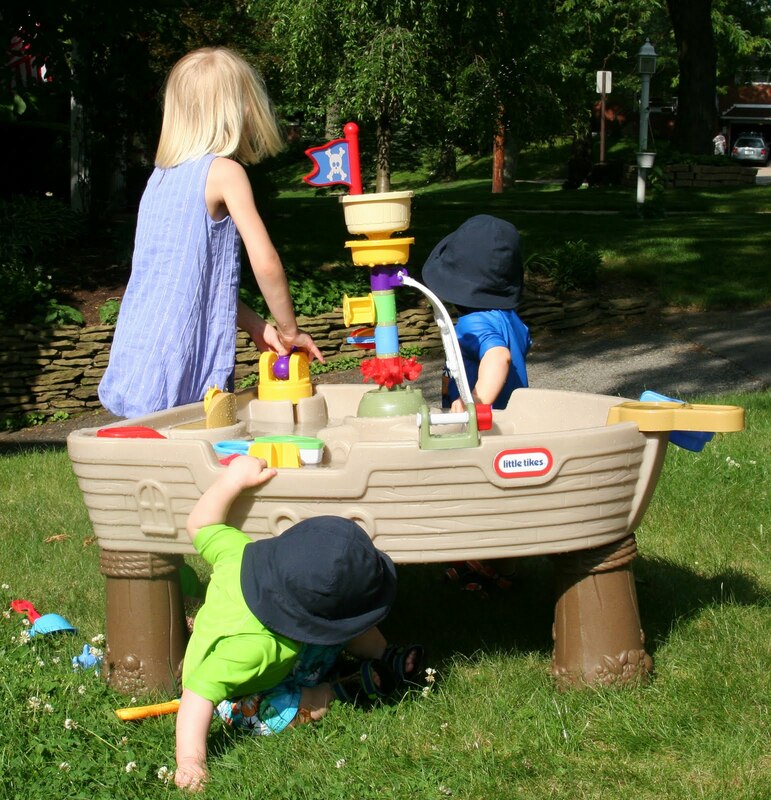 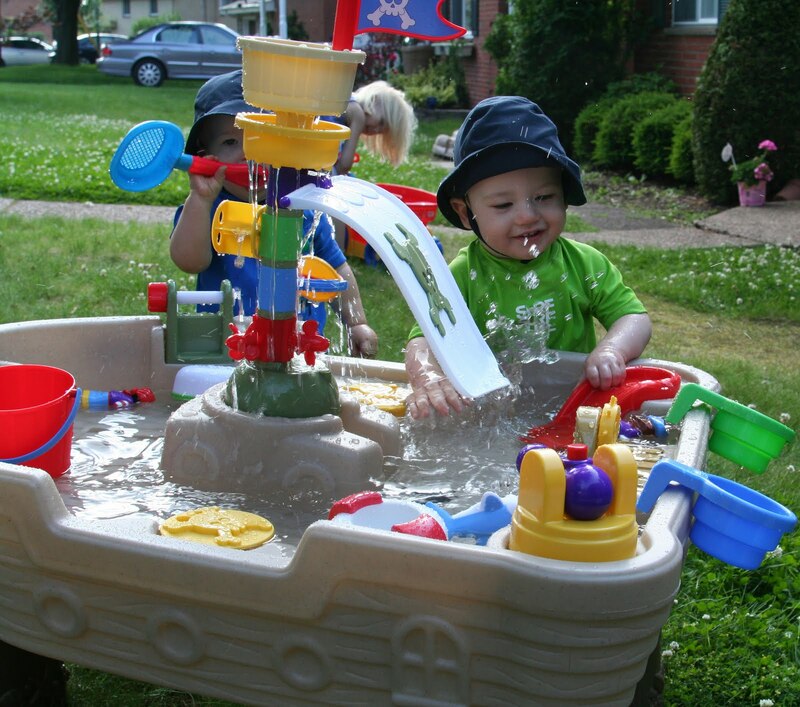 Ruslan never left the water table even after Wyatt was done and in the house. I expect we will have many hours of fun playing with the pirate ship this summer.